Leveraging on the application of cutting edge technology, We are capable of fabricating highly efficient hydraulic presses and Industrial Hydraulic Presses in strict adherence with the drawings, samples and other technical specifications of the industry. 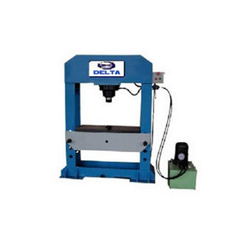 These are performance oriented hydraulic presses are manufactured high on the parameters of quality has resulted in our technically advanced range of hydraulic presses, hydraulic presses etc. We can also customize our standard array as per the citation of our clients. Looking for Industrial Hydraulic Presses ?